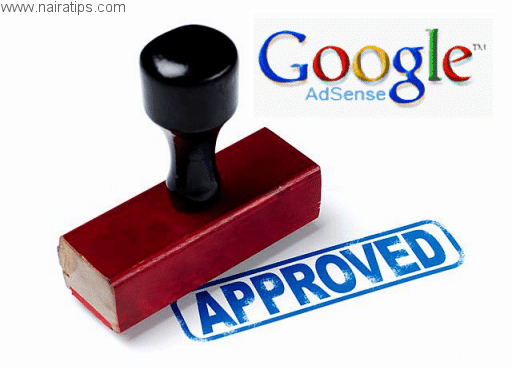 Google Adsense is one of the best ways you can make money from your blog. I started blogging around July 9, 2015, and I was not thinking of Google Adsense, my first article was about Microsoft Office 2016 Preview and my second article was a Gaming Laptops Guide was posted July 12, 2015. I applied for Google Adsense on the 24th of August, 2015 and got approved on the 28th of August, 2015. I’m sure you are eager to know what miracles I performed to make this happen. When I started blogging, I wasn’t even thinking of monetizing my website just yet, I wanted to blog for like six months and build any traffic, backlinks and all, then I would apply for Google Adsense, or so I thought. Barely two months into blogging, Nairatips had over 40 original articles and 40 comments, you could say I was doing well for a WordPress beginner, by then I still wasn’t ready to apply for Google Adsense. I thought to myself “it is still too early, I don’t want to rush things and get my heart broken.” But a friend suggested to me, advising me to apply for Google Adsense, I told him I’ve heard, but I did not work on the advice he gave me, but it was always at the back of my mind. Some days later, on the 24th of August, 2015 I applied for Google Adsense, I was still doubtful, I honestly thought my request would be denied, and I would have to back to him crying telling him how I was not approved. About four days later, my mind was already starting to forget that I even applied for Google Adsense, then I received an email. The contents of that email change my view on blogging as a whole. It was like I saw the light! I was approved on the 28th of August, 2015. This was incredible news for me, with this approval I achieved the 1st step of Monetizing your website. 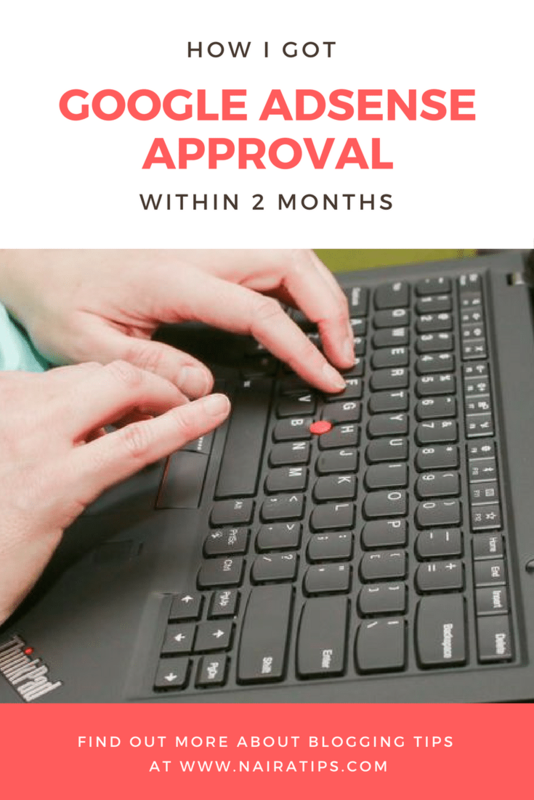 Want to know how and why I got approved? I posted a new article daily. I engaged in Intensive Social Media Marketing using Facebook, Twitter, Youtube. Had small but sufficient backlinks to link back to my site, My site wasn’t an island. I didn’t steal website contents by copying and pasting their content on my blog. Hope this has been of help to those on the right part of Blogging and wanted to get Google Adsense approval. It’s possible, follow the guides I posted around because those were the reasons I got approved within two months. Great article, from what i have seen, you have just showned me the reason why i have been getting disapproved by google adsense. But also can you give me a tip on how i can get images for my blog that i am going to start very soon, because i learnt that copying images from google is illegal for adsense and i need u to tell me how i can overcome any image copyright or how i can create images by myself . I’m looking forward to your response? Hi, David. I am glad my article was of help to you. Please can you share the reason you think Google Adsense disapproved your application? For bypassing image copyright and how I do it, is I use Adobe Photoshop to create most of my featured images making them unique and free from copyright. Also, If you don’t have time to create images and want to use any image off the internet, please make sure you are using a copyright free image. How will i be able to identify a copyright free image? And also, if i save any image on google and edit on photoshop by adding images and text on it, have i bypassed the copyright ish? I am glad this article inspired you to get your own AdSense approval.